"Outlaw" EP/writer Martin B. Roberts was interviewed for an installment of "The Road To Emmy" series, which was the 2nd most clicked SHOOT story of 2018 (photo courtesy of Starz). Procter & Gamble's "The Talk" won the primetime commercial Emmy Award and was the subject of SHOOT's 4th most clicked story of 2018. Amber Wimmer, director of interactive production at KBS. Coverage of her joining the ad agency was the 8th most clicked SHOOT story of 2018. 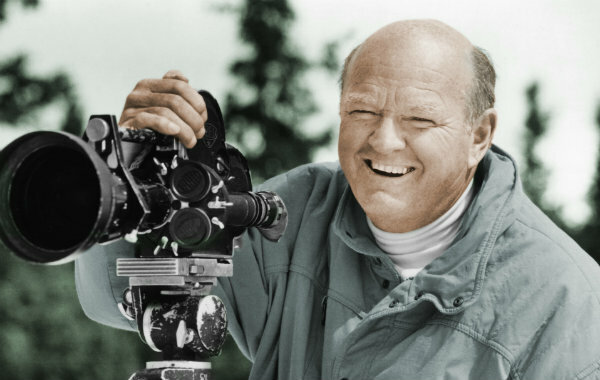 A documentary on the late ski filmmaker Warren Miller was the subject of SHOOT's most clicked story in 2018. The SHOOT stories that generated the most engagement (clicks to view) in 2018 delved into subject matter such as a documentary featuring the last on-camera interview with the late ski filmmaker Warren Miller to an inside look at the Emmy-contending Starz series Outlander, the news that Procter & Gamble’s poignant “The Talk” had won the primetime commercial Emmy Award, backstory on a quarterly Top Ten Tracks Chart #1 entry, edit shop Uppercut entering into a partnership with VFX studio ZERO, and the naming of a director of interactive production at ad agency KBS. Next up in our rundown was a SHOOT Road To Emmy Series interview with Outlander executive producers/writers Matthew B. Roberts and Toni Graphia who shared insights into the Starz series. Third in our hit parade was news that TheBridge.Co, a bicoastal studio specializing in connecting artists with brands and agencies, had opened a London Office and named Derick Procope as editorial director and CEO, tasked with guiding the company’s efforts for advertisers, agencies, media companies and cultural institutions based in the U.K. The new entity works under TheBridge.London moniker. Finishing fourth was Procter & Gamble’s “The Talk” winning the coveted primetime commercial Emmy Award. Directed by Malik Vitthal of The Corner Shop for BBDO NY, “The Talk” added the Emmy to a slew of high-profile accolades, including a Cannes Lions Film Grand Prix, and an AICP Show honor for direction. Taking fifth place was the development which saw editorial shop Uppercut partner with VFX studio ZERO. The alliance allows the shops to offer comprehensive postproduction services across editorial, animation, CG, VFX and finishing and will encompass three markets, spanning offices in New York City, Los Angeles and Boston. Leading the studios are Uppercut owner/editor Micah Scarpelli and executive producer Kathrin Lausch and ZERO founder Brian Drewes and sr. producer Meg Bailey. Settling into the sixth slot among most clicked stories was coverage of Mercedes-Benz’s “Stronger Than Time,” which topped the Top Ten Tracks Chart for the first quarter of 2018. Directed by Ole Peters of Hamburg-based Sehsucht for Berlin-based agency antoni, “Stronger Than Time” featured music and sound design from Yessian Music in Hamburg. Seventh in the year’s countdown was coverage of the primetime commercial Emmy nominations, including two for BBDO NY: P&G’s “The Talk”; and Monica Lewinsky’s anti-bullying “In Real Life” PSA. Also nominated were: Tide detergent’s “It’s A Tide” ad from Saatchi & Saatchi NY; Amazon’s “Alexa Loses Her Voice” out of agency Lucky Generals; and Apple iPhone’s “Earth: Shot on iPhone” from TBWA\Media Arts Lab. Earning eighth place was coverage of Amber Wimmer being hired as director of interactive production at KBS. Wimmer came over from Google Creative Labs. Prior to that, she was executive producer at The Barbarian Group, Droga5, TBWA\Chiat\Day, and Crispin Porter + Bogusky. Occupying the ninth slot was the unveiling of The Rain, Netflix’s first original foreign language young adult series. And rounding out our Top Ten clickable stories was an announcement of the timeline for recent college graduates to apply for the American Cinema Editors (ACE) Fall internship program for aspiring film editors. The program is designed to offer motivated individuals interested in editing a unique opportunity to be mentored by industry professionals. Since its inception in 1992, over 50 interns have graduated from the program, many of whom have gone on to make their mark in the editing field including Joi McMillon, ACE who earned the distinction of becoming the first African-American woman to be Oscar® nominated in the film editing category in 2017 for her work co-editing the Best Picture Oscar® winner Moonlight.